KARACHI, Aug 22 (APP): Minister of state and Chairperson, Benazir Income Support Programme (BISP), Marvi Memon asked Monday the Overseas Chamber of Commerce to play its role in introducing Pakistani handicrafts in the international markets. MNA Marvi Memon expressed these views while addressing the officials and members of the OCC. She said that sale of Pakistani handicrafts will be helpful in improving income of the low income segment of the society. She said that to eliminate poverty from the country, federal government has enhanced BISP budget to Rs 115 billion. She pointed out that BISP is now the 5th largest social welfare institution in the world which is providing financial assistance to 5,300,000 deserving people. 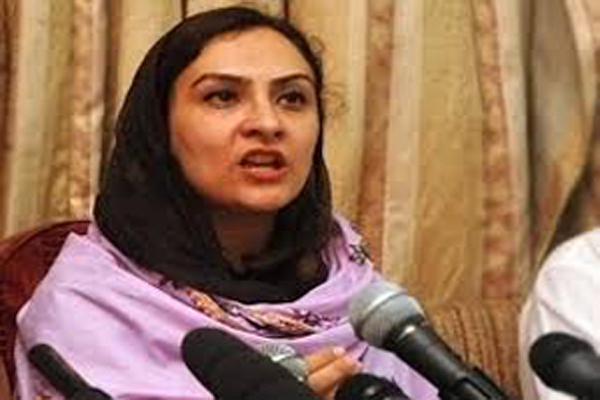 Marvi said that after completion of 5 year poverty survey, afresh survey is being carried out. The new survey, she said is being prepared using state of the art computerized technology. For this survey, teams will visit door to door to complete it, she added. The deserving people can also register themselves with the nearby BISP offices, she said. On the occasion, she also briefed the members of the Overseas Chamber of Commerce about the salient features of BISP. Marvi Memon asked the members of Overseas Chamber to join hands with BISP for the elimination of poverty from the country. She, later, also distributed BISP database books among the members of Overseas Chamber and Commerce.